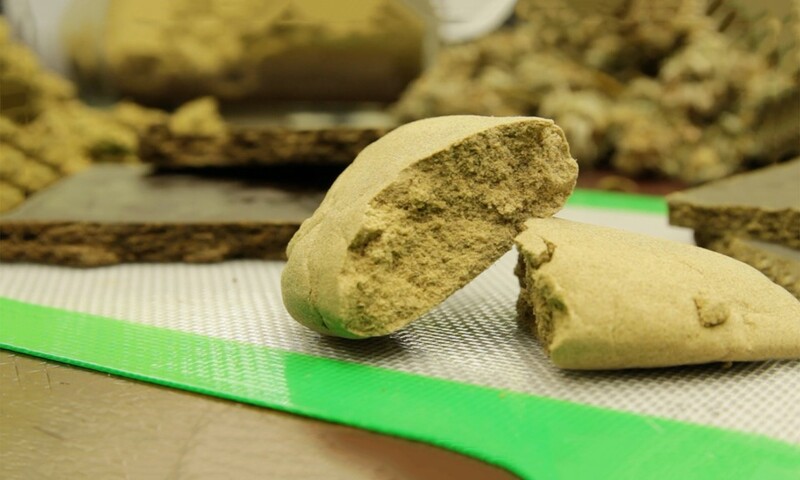 You can work your raw material—either flower or trim—into these framed screens to produce kief. Most kits come with a 149-micron screen and an additional, thinner 75-micron. Start with the bigger mesh and then work down to the smaller mesh. You can get good quality with two screens, but if you want to go for top-shelf results, use an additional finer-meshed third screen of 45 microns to sift out even more impurities.